James Kilbourn Oil Portrait from the collections of the Worthington Historical Society (WHS) may be used for educational purposes as long as it is not altered in any way and proper credit is given: "Courtesy of the Worthington Historical Society, Worthington, OH." Prior written permission of the WHS is required for any other use of James Kilbourn Oil Portrait. Contact WHS at info@worthingtonhistory.org to request permission. James Kilbourn Oil Portrait is an art original, with genre portraits. Its dimensions are 33.5 in. x 38.5 in.. It was created in 1830. 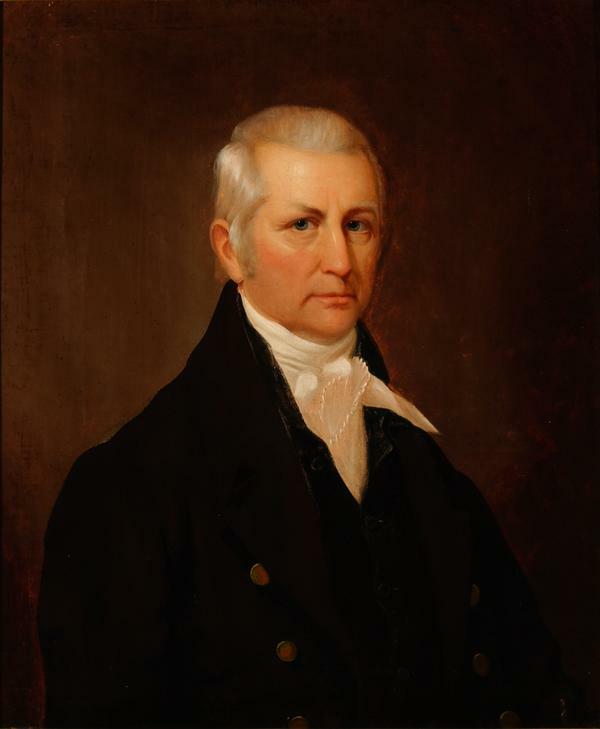 James Kilbourn oil portrait (b. October 19, 1770-d. April 24, 1850) on canvas by unknown artist was originally owned and hung in the first Worthington Public Library from 1927-1974. The portrait hung opposite that of Kilbourn's granddaughter Elizabeth Jones Deshler, who donated the funds for Worthington's first public library building in 1925. 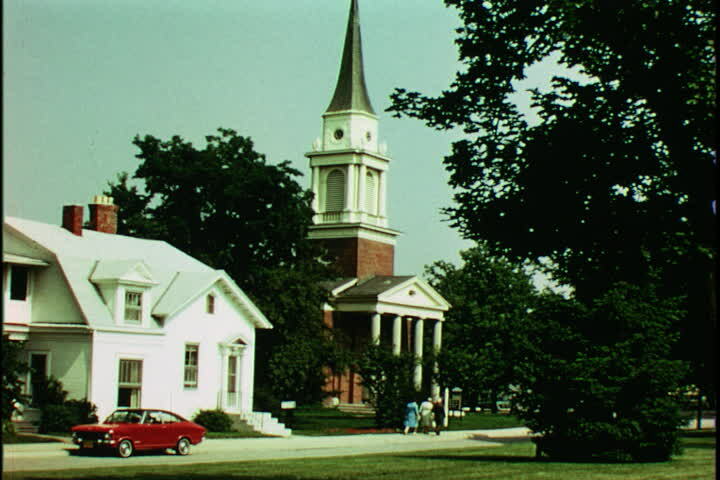 It was given to the Worthington Historical Society in 1974. Portraits were common keepsakes of New England life. Prominent people often had more than one portrait made. The skill of the artist indicates that portrait painters were able to earn a living in the region. Oil portraits were frequently painted and collected before the advent of photography. James Kilbourn was the founder of Worthington, Ohio. Son of an impoverished farmer, he set out on his own at 16, illiterate and poor. Self-educated and self-made, his life typifies the frontier entrepreneur. He founded the cities of Worthington, Bucyrus, Norton, Lockbourne and Sandusky, served in the U.S. Congress, and was active in the religious and political life of Columbus and Ohio. It covers the topics art, businessmen and freemasons. The Worthington Memory identification code is whs0786. This metadata record was human prepared by Worthington Libraries on September 19, 2002. It was last updated November 17, 2017.